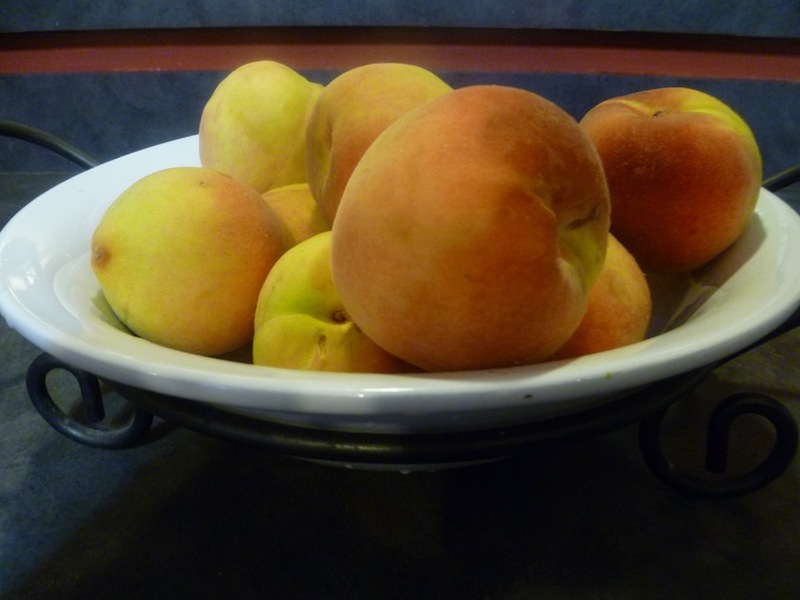 I had a thought to make peach pie with this week’s farmers’ market peaches. And then I remembered how much I dislike making pie. All the benefits of a delicious peach dessert with only 1 bowl, no rolling pin and no need for even a hand mixer. And the prep time is under 10 minutes. That’s my kind of dessert. 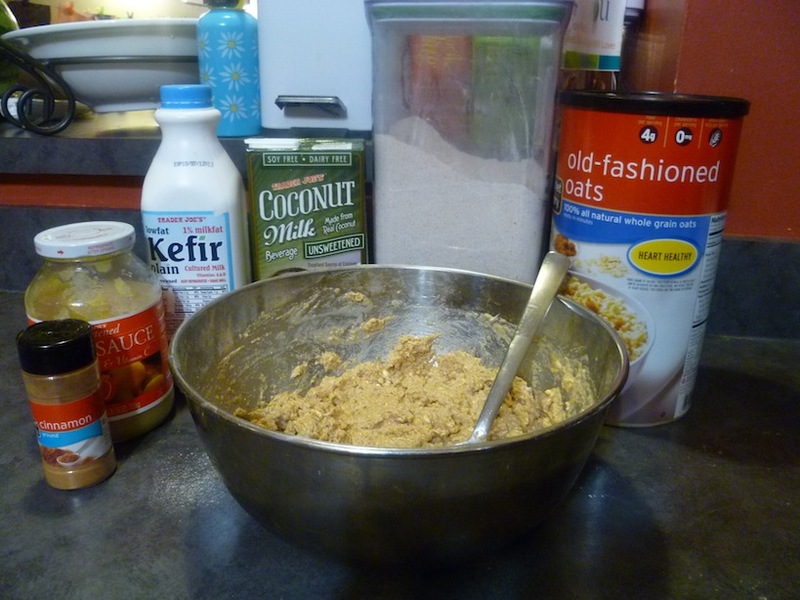 Mix the flour, oats, baking powder, salt and cinnamon in a large bowl. In a large measuring cup, measure out the apple sauce, yogurt and milk. Add the maple syrup and vanilla to the liquid mixture. Thoroughly mix and then slowly add it to the dry mixture and stir until well blended. Add the peaches and mix. 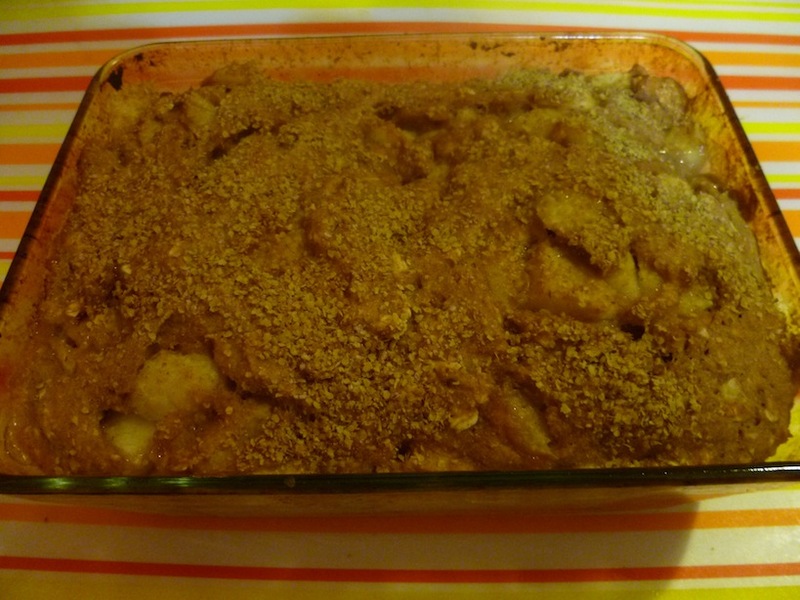 Place in a 8×8 pan and sprinkle wheat germ on top. (You could make these muffins, but reduce baking time to 25 minutes.) Bake on 350 for 4o minutes.